Winner of the 2015 Strega Prize, Italy's preeminent prize for fiction. 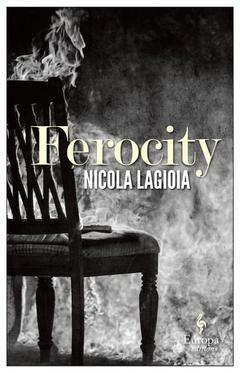 Ferocity is a cinematic suspense novel that also addresses vital social questions, a combination of Gillian Flynn's Gone Girl and Jonathan Franzen's Freedom, filtered through the fierce Mediterranean vision of Elena Ferrante. On a hot summer's night under a full moon, far from the outlying neighborhoods of a southern Italian metropolis, Clara stumbles naked, dazed, and bloodied down a major highway. When she dies no-one is able to say exactly how or why, but her brother cannot free himself from her memory or from the questions surrounding her death. The more he learns about her life and death, the more he uncovers the moral decay at the core of his family's ascent to social prominence.